Congratulations to Marianne Guenther Bornhoft, of Manito Windermere. The Washington Association of REALTORS has elected her to a three year term at the National Association of REALTORS as a Director. Marianne is the past president of the Spokane Association of REALTORS and recently was named REALTOR of the year this past spring. Lee & Hayes an industry-leading Intellectual Property law firm headquartered in Spokane, has completed an acquisition of Hope Baldauff, an Atlanta patent law firm with 11 attorneys, two patent agents and six staff members. The members and employees of Hope Baldauff officially joined Lee & Hayes yesterday. The Atlanta office is Lee & Hayes' seventh U.S. location and the fourth office to open since 2011. The Spokesman-Review took home top awards honoring work from both its editorial and advertising teams at the Pacific Northwest Newspaper Association publishers' annual fall meeting in Portland. Best Special Section - Fall Guide to Fun, which also received the 'Best of the Best in Advertising Excellence' award. Best use of Multi-Color Ad - Jigsaw Fall 2013. Marketing Services Supervisor Anne Potter leads the work of The Spokesman-Review's Marketing and Advertising Services team. The Spokesman-Review's editorial team was honored with two C.B. Blethen Memorial Awards for Distinguished Newspaper Reporting. The awards were established in 1977 in honor of C.B. Blethen, publisher of The Seattle Times for 26 years from 1915 to 1941. Taking home a first-place award for Distinguished Coverage of Diversity were Jonathan Brunt and Dan Pelle, for 'Never Surrender, Never Retreat.' This series focused on the Rogers High School football team, which Brunt and Pelle followed for an entire season. Winning a second-place award for Enterprise Reporting was Betsy Z. Russell, for 'Idaho Wi-Fi contract.' Russell won for exclusive coverage of a controversial and expensive contract signed by the state to provide Wi-Fi service in every Idaho public high school. Editor Gary Graham leads the work of The Spokesman-Review's editorial team. Hospice of Spokane, our community's only nonprofit hospice, will be celebrating World Hospice and Palliative Care Day on Saturday, October 11. World Hospice and Palliative Care Day is a unified day of action to celebrate and support hospice and palliative care around the world. A holistic approach to end-of-life care, hospice addresses the medical, emotional, psychological and spiritual needs of patients with terminal illness and their loved ones. One of the longest-standing hospices in the nation, Hospice of Spokane has served patients in the greater-Spokane region since 1977. Today, Hospice of Spokane serves patients throughout Spokane, Stevens, Ferry and Pend Oreille counties wherever they call home - including their own home, senior living facilities, hospitals and at one of their two Hospice Houses. Nationally-recognized as experts in helping people handle end-of-life issues with grace, dignity, comfort and peace of mind, the team of physicians, registered nurses, masters-level social workers, licensed bereavement counselors, nurse aids and chaplains at Hospice of Spokane work together to meet the physical, psychosocial and emotional needs of patients of any age with any terminal condition. For more information about Hospice of Spokane and how they serve our community, visit www.hospiceofspokane.org or call 509-456-0438. Lone Wolf Harley-Davidson, along with the Muscular Dystrophy Association, will celebrate their 14th year of An Evening with Harley-Davidson to benefit MDA. This event helps children and adults affected by muscle disease. 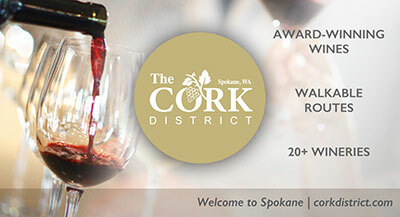 The event will take place Saturday, October 18th at 6:00pm at Barrister Winery in downtown Spokane. Dinner, silent and oral auction items will be part of the evening event. Tickets are $50.00 per person. Come to Lone Wolf Harley-Davidson at 19011 E. Cataldo Ave. in the Spokane Valley to purchase tickets. Halloween costumes are the dress of the night. "Throughout 2014 MDA and Lone Wolf Harley-Davidson have joined together in the fight against life-threatening muscle disease", said Executive Director, Alexa Borden. "Lone Wolf Harley-Davidson dedicates countless hours of their time every year participating in the MDA Summer Camp as well as numerous other programs. We're grateful for the support of these inspiring, selfless individuals who have made a profound impact on our families' health, wellbeing and quality of life. We are excited to make this year's Evening with Harley-Davidson Benefitting MDA the most successful yet." Funds raised through the 2014 Evening with Harley-Davidson benefitting MDA will help support MDA's programs of worldwide research, specialized health care services, and day-to-day support - which includes sending children affected by muscular dystrophy and related diseases to a weeklong, barrier-free MDA summer camp at Camp Twinlow in Rathdrum, Idaho. Winston & Cashatt's principals recently voted in Jeffrey R. Ropp as the firm's newest principal. Ropp brings to the firm a strong background in elder law, estate planning, probate, and trust administration, having practiced in these areas for over 25 years. He has been an attorney licensed in Washington since 1987 and joined Winston & Cashatt in 2013. Ropp graduated from Gonzaga University School of Law in 1986, and the University of Florida, Master of Laws and Taxation Program (LLM) in 1988. He is an active member of the Spokane Estate Planning Council and the Legacy Advisory Board for the Children's Hospital Foundation in Seattle, and is a regular presenter and lecturer on numerous elder law and estate planning topics. Marketing Associates of Spokane will be holding their October meeting on Thursday, October 9 from 11:30 am to 1:00 pm at The Lincoln Center, 1316 North Lincoln Street, Spokane. Join Eric Sawyer, CEO of the Spokane Sports Commission, as he provides an overview of the proposed field house sports complex, its concept, timelines, and possible financing as part of a Countywide Park Levy. RSVP per the MAS website www.maspokane.org by Monday, October 6. Lunch will be provided at a cost of $20 for members and $30 for non-members. For more information, contact Taurean Yamada at tyamada@aerotek.com or April Smith at asmith@geoengineers.com. After spending the summer interning for Design Source, Inc., Katrina Dunbar will be joining the full service design firm as a project designer. She holds a BA in Interior Design from Washington State University and is a LEED Green Associate. Katrina previously worked as a designer at CSO Architects, Indianapolis, Indiana. Design Source is at 804 South Monroe. The phone number is 509-455-8740 and the website is www.design-source-inc.com. The Greater Spokane Valley Chamber of Commerce will have Welcome Reception for President & CEO, Katherine Morgan, on Thursday, October 23 from 5-7:00 pm. The gathering will be held in the Fireside Lounge at CenterPlace Regional Event Center. At the event, Ms. Morgan will share the vision for 2015 and reveal the new branding concepts and logo for the Spokane Valley Chamber. A short program begins at 5:30pm with press conference to follow. This event is open to the general public. This weekend is the 36th Annual Spokane Fall Home Idea Show at the Spokane Fair & Expo Center. The Home Idea Show tops off 2014 with the final major consumer home show of the year focusing on building, renovation, landscaping, design and decor. 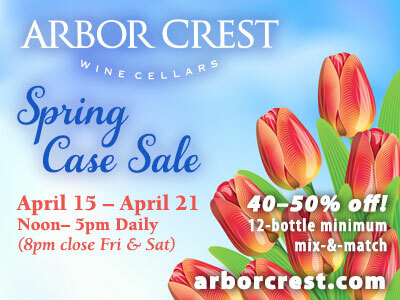 Hours are Friday, noon-8pm; Saturday, 10am-7pm; and Sunday, 10am-5pm. Cost is $8 for adults, $6 for seniors & military; children 12 & under, Free. Spokane How's Business is giving away tickets for this weekend's Fall Home Idea Show. Email us at info@spokanehowsbusiness.com and the first 15 people will get 2 tickets each. This month's NAWBO meeting is scheduled for October 9 at Dishman Dodge, 7700 E Sprague. Social hour is 5-6pm and the program begins at 6. This is your time to join up with the various NAWBO committees and get involved. You'll hear from each of the board members and get to choose the committees that are best for you. Beer & wine are available and dinner will be served. City of Spokane Administrator, Theresa Sanders and City of Spokane Public Information Officer Brian Coddington will present briefly about the city's proposal for Refinancing To Invest In Streets and Parks. Cooking personality Graham Kerr, best known for his television show 'The Galloping Gourmet,' will visit the Eastern Washington University campus Oct. 14-15 to share his message on healthy living, self-reliance and community. Kerr's visit includes discussions with classes, a special visit to the campus garden and farmer's market, receptions, a book signing event and conversations with campus staff, including dining services. EWU students have a strong commitment to sustainability, and the campus is a leader in developing sustainable campus practices, including a successful campus farmer's market and vegetable garden. "By inviting Graham Kerr to Eastern, the university hopes to share his enthusiasm with our students, support them in developing habits for healthy living and inspire them to be adventurous and open to new experiences throughout their lives," said Stacey Morgan Foster, EWU's vice president for Student Affairs. As one of the first celebrity chefs who is known internationally, Kerr has shown through his multiple career paths how serendipity, creativity and a positive attitude can lead to a fulfilling life. Along with Julia Child, Kerr revolutionized the average person's approach to food. After his TV chef days, Kerr turned his attention to a variety of different topics, including personal/spiritual happiness, healthy eating and growing your own food. Kerr is also a novice gardener. His book, Growing at the Speed of Life, chronicles his adventure of starting a garden for the first time in his life. It is filled with hints about gardening, as well as interspersed with original recipes that promote his healthy eating interest. His key focus is serving people who want to make healthy, creative, lifestyle changes and to increase their consumption of fresh, local edible plants and seafood. There is an afternoon Tea on Oct. 15 from 3-4:30 pm in Hargreaves Hall (Powers Reading Room) that is free and open to public. RSVP at www.ewu.edu/kerrtea. The Inland NW Business Travel Association is holding their annual Harvest Moon & HalloWine Auction at the Mirabeau Park Hotel & Convention Center Friday, October 17, from 5:30-9pm. A portion of the proceeds from this auction will benefit Northwest North Pole Adventures Spokane Fantasy Flight. Spokane Fantasy Flight provides a magical trip to the North Pole for some very special children from area shelters and community programs. They are flown to the North Pole for an evening of wonderment and surprises. For more information on NW North Pole Adventures, visit www.nwnorthpole.com. Tickets are $45 per person and available at inbta.org. The West Plains Chamber of Commerce will open nominations to serve as a member of their Board of Directors on Monday, October 6, 2014. The nomination period will close at 5:00 PM on Monday, October 20, 2014. All nominees must be a member in good standing of the West Plains Chamber and agree to meet the service requirements of a West Plains Chamber Board Member. A Chamber member may nominate themselves, should they desire. Nominations must be submitted in writing and include the following information on the proposed candidate: Name, residence address, residence or cell phone number, business or organization affiliation if any, and a statement by the individual submitting the nomination that he/she has contacted the nominee and the nominee has agreed to allow their name to be placed into the nomination process. All nominees will meet with the Chamber Nominating Committee. Send e-mail nominations to latisha.hill@avistacorp.com, with subject line stating 'WPCC Board Nomination'. To mail nomination, send to Latisha Hill, Chair, WPPC Nominations Committee, 1411 E. Mission Ave. MSC- 68, Spokane, WA 99220. For questions or more information, call Latisha Hill at 509-280-6474 or 509-495-2045.